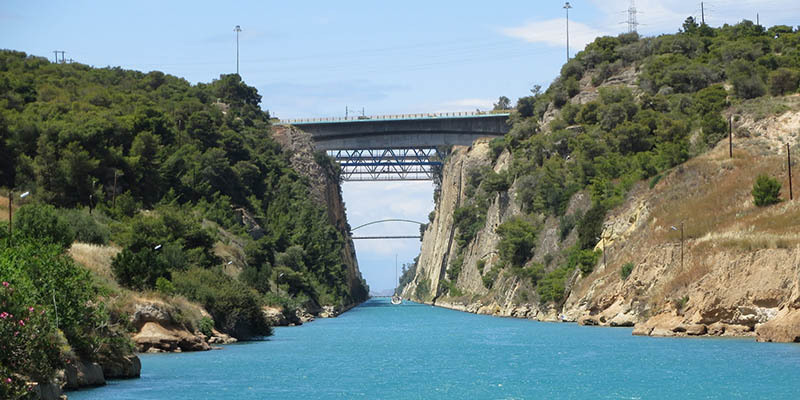 The Corinth Canal, 90 kilometers from Athens, connects the Gulf of Corinth with the Saronic Gulf in the Aegean Sea. Dreamt of by Alexander the Great and Julius Caeser, the Canal was finally built in 1893 saving 200 nautical miles of often dangerous seas. 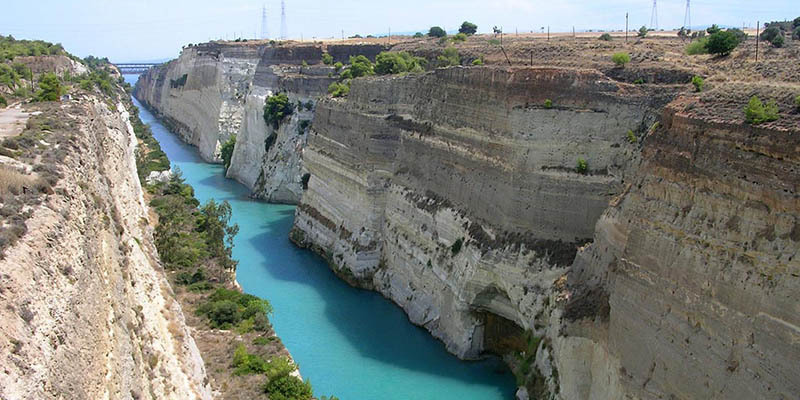 It cuts through the narrow Isthmus of Corinth and separates the Peloponnese from the Greek mainland, thus effectively making the former peninsula an island. It is 6.4 kilometres (4.0 mi) in length but only 21.4 metres (70 ft) wide at its base, making it impassable for most modern ships and today it is used mainly for tourist traffic. 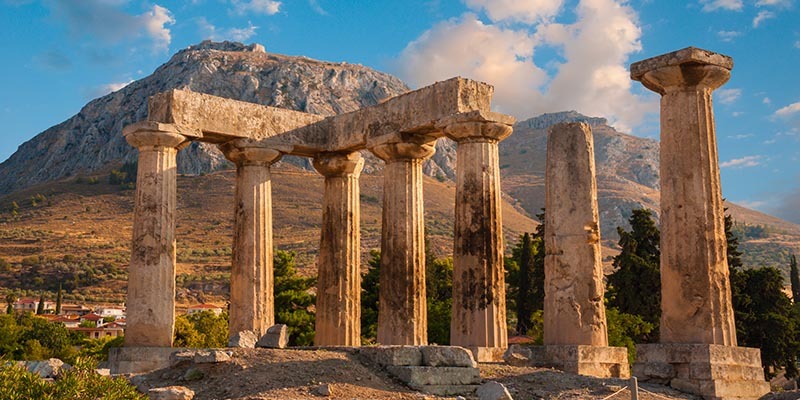 Ancient Corinth was one of the largest and richest cities of Greece, with a population of 90,000 in 400 BC, controlling much of the trade between East and West. The Romans destroyed the Greek city in 146BC but Julius Caeser left a garrison here in 44BC and built a new city in its place and made it the provincial capital of Greece. Dedicated to the worship of Aphrodite or Venus, the Vestal Virgins in Corinth were a source of attraction throughout the ancient world and the city population grew to between 100,000 to 700,000 according to different sources. 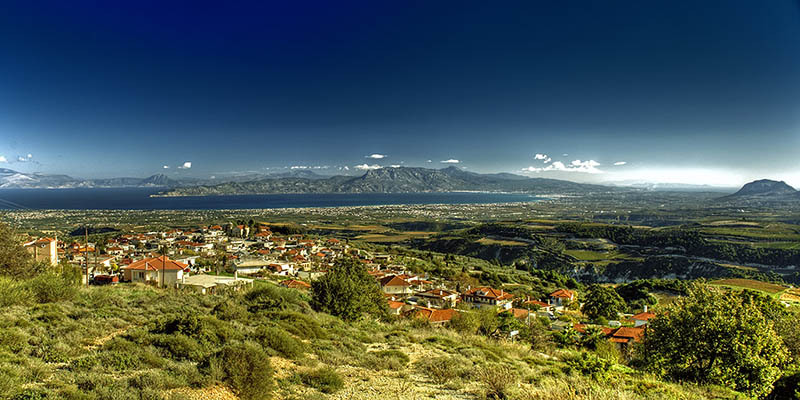 In the early Christian era it was the wealth and licentiousness of Corinth, which attracted St. Paul to visit the city and write his Epistles. During the trip you also have the opportunity to take an excursion boat through the Canal itself which takes 1 hour and 15 minutes.